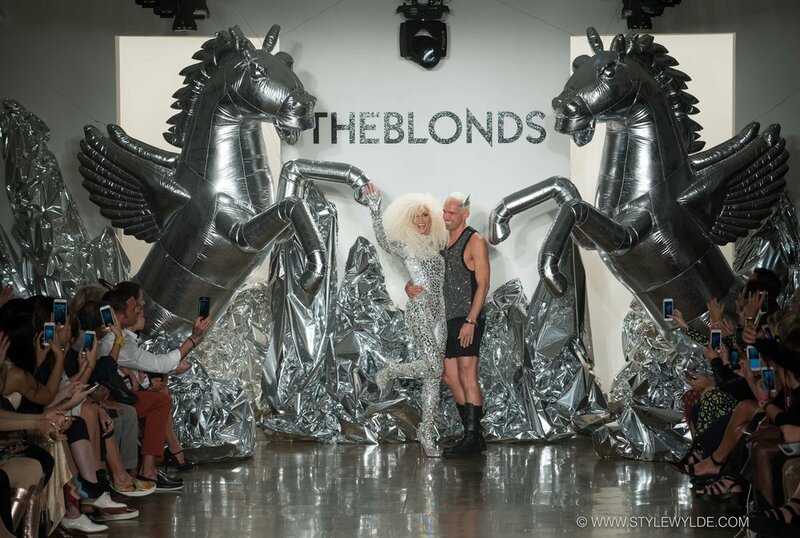 For their 10th anniversary show designers Phillipe Blond and David Blond blew the doors off Milk Studios with a spectacular, silver anniversary themed show that showcased the pair's talent for all things ultra-glam. 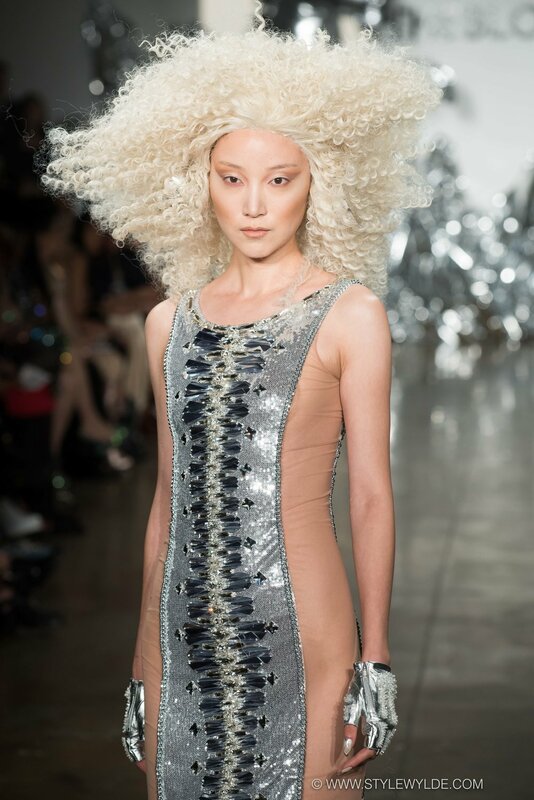 And this time they even upped the ante, building on the expected collection of their exquisitely jeweled corsets and adding a dazzling array of red-carpet-ready gowns and menswear pieces, and partnered with jewelry brand LARUICCI to create custom pieces for the show. 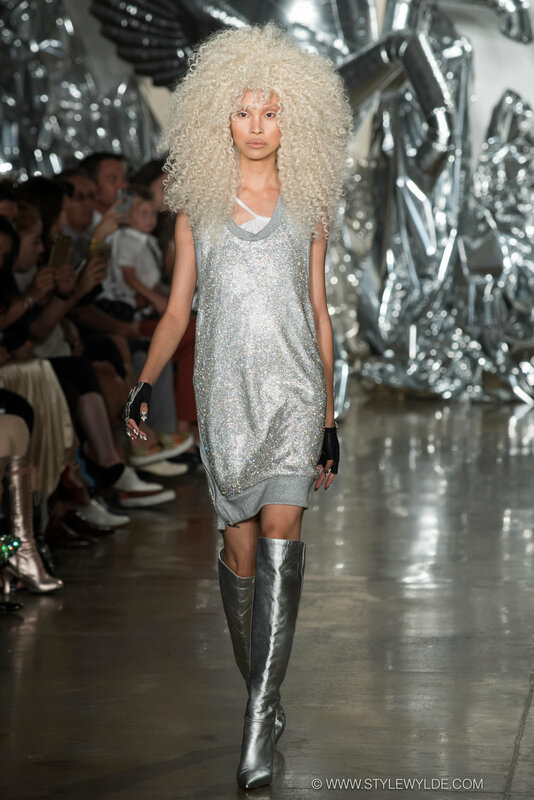 It was a true tour de force for the team who never fails to bewitch and bedazzle their massive crowd of adoring fans at the show. All images: Cynthia Anderson for Style Wylde. 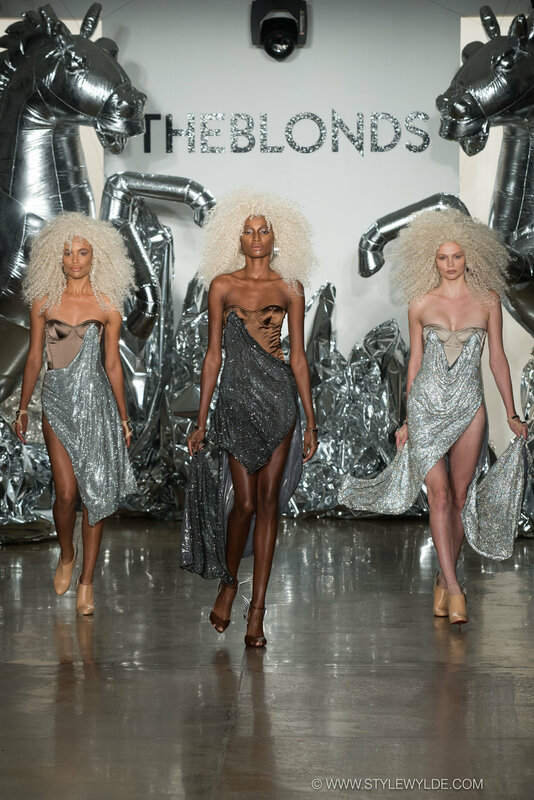 To get a special behind the scenes look at the making of The Blonds Spring 2017 collection be sure to check out our full photo feature in Beauty.